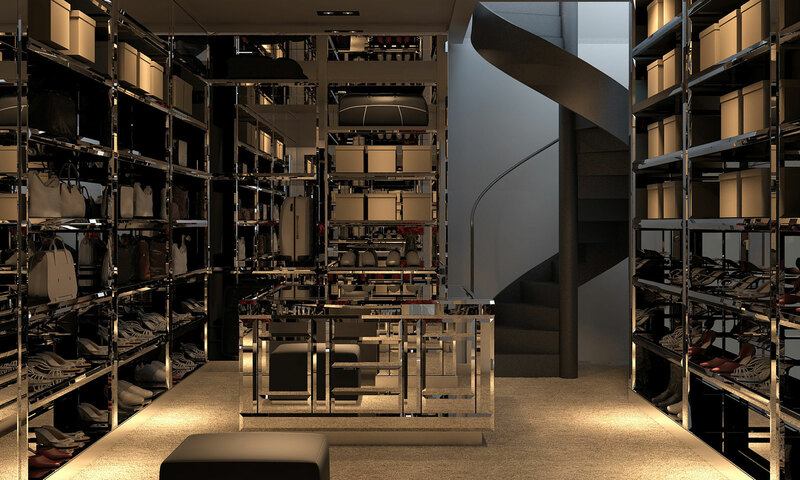 Prestigious walk-in-closet where details and solutions are united by the refinement of the workmanship. The materials are highlighted in an unprecedented eclecticism that become emblematic originality, characteristic of every Made in Italy product, combining the typical versatility of a forged working method through the most classic Tuscan tradition and handed down for centuries through a process of acquisition of skills and multifaceted appendices during the industrial evolution. The wardrobe thus becomes a contemporary, functional and technological invention, refined and spectacular at the same time.